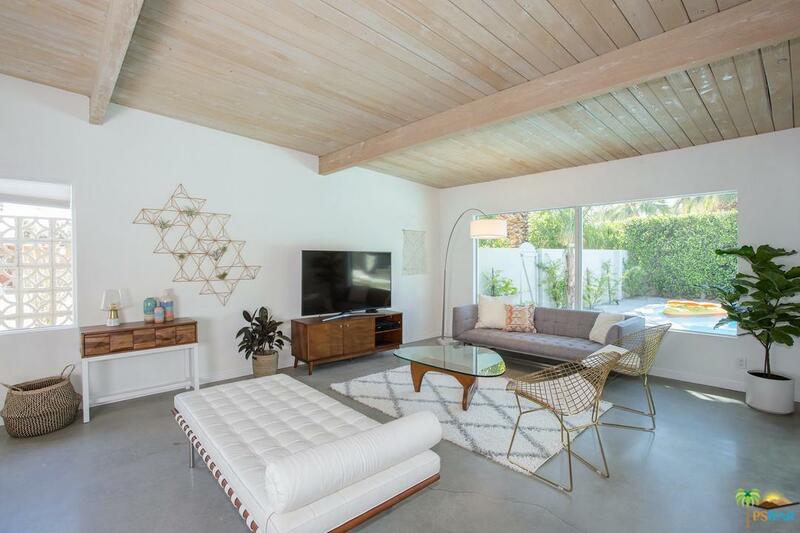 If a Meiselman mid-century modern impeccably designed home with polished concrete floors, sand blasted wood beamed ceilings and sliders that open seamlessly to create the perfect indoor/outdoor living is your thing - look no further! And did we mentionyou own the land on this one! 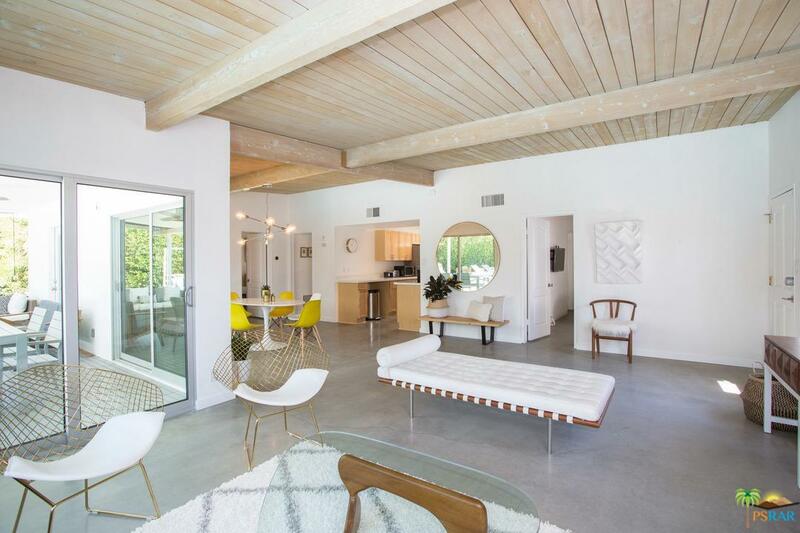 This turnkey furnished 3b/2b open floor plan home sits on an oversized lot and features Mid Century architecture throughout, a large pool, mountain views and modern design touches. The San Jacinto mountains are a perfect backdrop to relax in the sparkling pool surrounded by 10 feet hedges providing privacy. The expansive backyard features a day bed, multiple lounging spots, outdoor dining, hammock, fire pit and BBQ. Solid rental history and happy clients making this an ideal investment property or simply a second home getaway with the opportunity for rental income to offset your costs. 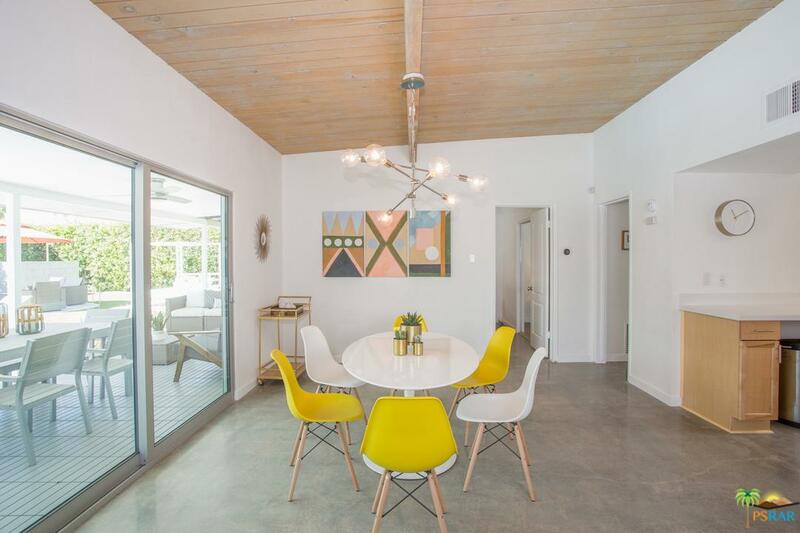 It's turnkey furnished and rental ready! We've got you covered! Sold by Laurie Moulton BRE#01987581 of Lux Box Agency. 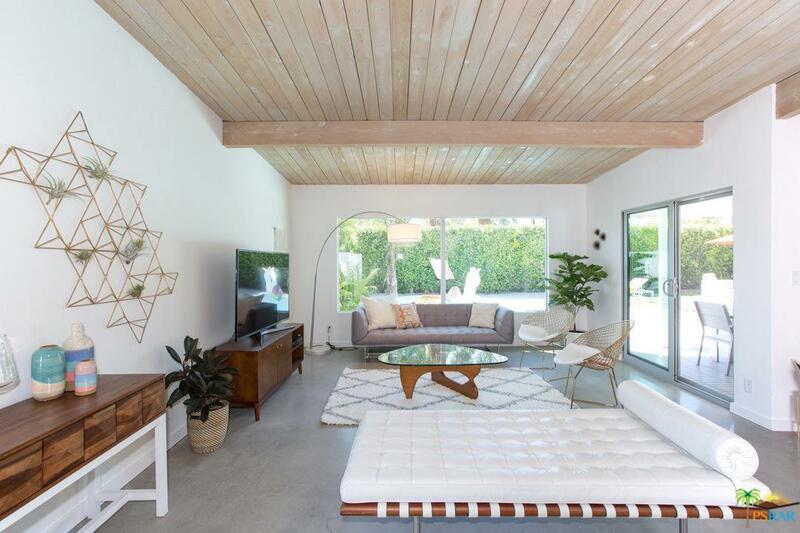 Listing provided courtesy of Laurie Moulton DRE#01987581 of Lux Box Agency.